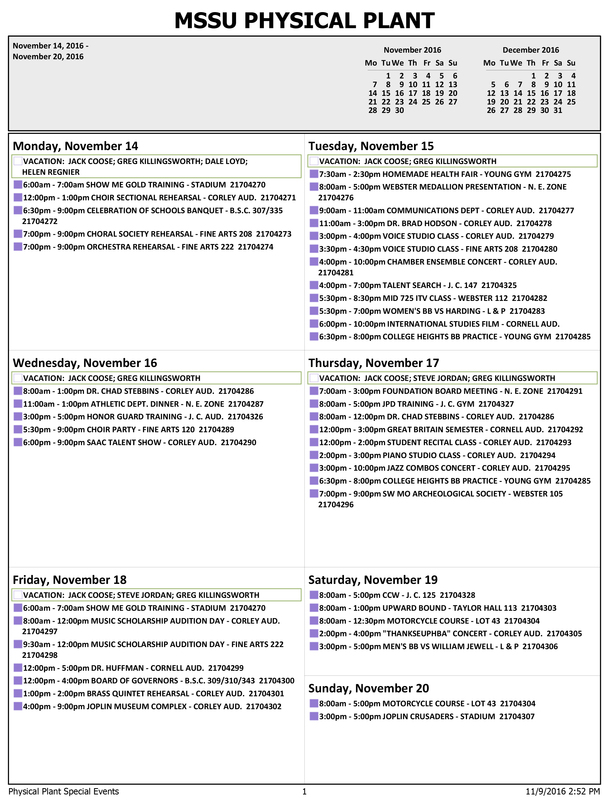 The Physical Plant has shared its work calendar for Nov. 14-20. For questions, contact Bob Harrinton, director of the Physical Plant, at ext. 3191 or Harrington-C@mssu.edu.